It’s not about me. It’s not about you. It’s about the students. Empowering students to lead in their learning, and for teachers to make the subject material relevant to the lives of students.. In a world where teachers are evaluated on how well their students score on standardized tests, I often hear, “There is no time built into the curriculum for projects, especially those that incorporate technology.” I try to find empathy. As an Instructional Technology Facilitator, I am not responsible for 140 students of my own. I am not evaluated on how well students do on the End of Grade test. I’m not under a microscope by my administrators, parents, or peers. I’m not claiming to know what anyone else feels. But, what I do know is, kids deserve the best education we can offer. I chose my path as an instructional support staff person. I work hard to #becomebetter for myself, for teachers and most of all for students. I believe teachers feel the same way as I do: kids deserve the best education we can offer. Therefore together, we must focus on making time for students to explore and to bring authenticity into their learning. We all must continue to weave the best tools available into the curriculum to assure the best learning possible for our students. We must ask students their opinions and their passions. 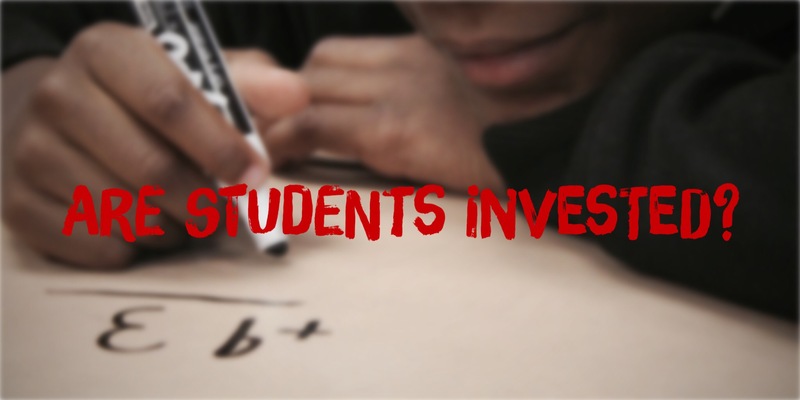 We must involve them in their learning because if we don’t, students won’t be invested. Are we giving kids assignments that were invented before the internet? That might sound crazy, but it’s so true. We now have endless information at our fingertips. Let’s revamp the lessons to reflect it. Kids often ask, “When will we ever you use this?” What is your answer? Ask yourself this question. If students can’t see the relevance in what they are learning, they are not going to be invested. Can we afford for students to not be invested? Students must be designing their learning by asking the questions. If they know their voice is heard, they will be more passionate about the learning. What do kids share around the dining room table? At my dinner table my kids are sharing projects they have ownership in. Projects that they explored the answers. Projects they are invested in. Blogging. Allow Student Voice to Be Heard. Nice context, Melanie. And so true! Some very convicting, eye-opening inquiries here. I think many educators shy away from taking risks or trying something new because their professional evaluation and end-of-the-year tests have not changed in a while. In addition, I think many educators are too over-whelmed to consider “allowing” students to own their learning. But the truth is that sometimes even the simplest steps or tweaks in classroom management, climate, and learning experiences can go a long way in the right direction. Can’t wait to see a follow-up post on this blog soon. I agree with everything you’ve written here. The work we do in the classroom is irrelevant if students aren’t invested in it. But I’m convinced that significant change in education won’t ever happen until “the system” changes the way that they hold teachers and students accountable. Until then, we’ll have pockets of innovation — change happening in one or two classrooms with one or two teachers on one or two projects. And that makes sense: Expecting teachers to work against the stated goals and priorities of “the system” in a high stakes world simply because kids deserve is asking a lot — and I think it lets people who’ve created the system — and who reinforce it through their actions and choices — off the hook. One of the notions running around in my mind right now is that we should stop trying to change teachers and start trying to inform parents times ten. If parents understood more about what WAS happening in schools versus what COULD BE happening in schools, I think we could recruit them to be allies in putting pressure on everyone — principals, superintendents, legislators. Once enough parents begin demanding something better, the factors holding teachers back — buckling under huge curricula, fear of performance on standardized tests — might change. I’ve always tinkered with the idea of running a parent book club using a book like Will’s Why School to start those conversations. Never done it, but it might be the most meaningful action we could take to create the conditions where parents were armed with enough information to become the advocates we needed to demand something better for their kids. Want to see if we can pull one off? Like a regional thing?